One of the easiest upgrades for a smart home is a smart thermostat. Though Nest and Ecobee are among the most popular options available, Z-Wave is a solid contender. Nest is a “learning” thermostat that can automatically learn your habits and adjust the home conditions automatically. Ecobee, on the other hand, is a smart programmable thermostat and is better suited for a household with irregular schedules. Both have automation capabilities but can be quite expensive. If you do not mind creating automation schedules yourself then Z-wave thermostats are a great option. Typically, these offer much more granular control and integration with Z-wave devices such as motion sensors to create automation schedules. Because it's a wireless protocol, Z-Wave allows devices to communicate across a network. However, for automation and control of a Z-Wave compatible thermostat, you'll need a Z-Wave controller. Then, you may use a controller to configure various automated events to trigger by linking to devices such as Z-Wave motion sensors, temperature sensors, or other Z-Wave gadgets. In addition to automation, you may remotely control your Z-Wave devices from smart phones and tablets. Now that we have covered the basics of Z-wave and Z-wave plus, let's check out the top Z-Wave compatible thermostat devices you can buy! The CT100 Plus replaces the CT100 smart thermostat. This Z-Wave Plus thermostat includes a Z-Wave Plus wireless module for better battery life and wireless range. Since the CT100 Plus comes with a battery, it's the best Z-Wave smart thermostat for use without a c-wire. If possible though, it's recommended to use wall power. Yet, if you must run your CT100 Plus off of battery power, set it up correctly so that it's not constantly sending data and wearing down the battery quickly. Onboard, you'll find humidity and temperature sensors. Because of its battery, the CT100 Plus us suitable for use in a bevy of HVAC systems. There's no reliance on cloud technology, and even in the event of a smart home controller going offline, the CT100 Plus continues to function. Touchscreen is decent, but not as responsive as other devices. Instructions are a bit barebones, though the overall system is pretty simple to figure out with a little bit research online. A renowned name in the HVAC space, Honeywell makes a solid Z-Wave smart thermostat in the YTH8320ZW1007/U. Sporting Z-Wave connectivity, it's a great pick for syncing with existing Z-Wave smart home technology. With its standard five wire connector, this is simple to install. However, for those without a c-wire, the Honeywell YTH8320ZW1007/u lacks a battery. Thus, you'll need to use the included add-a-wire adapter if your current thermostat system doesn't have the c-wire connector. 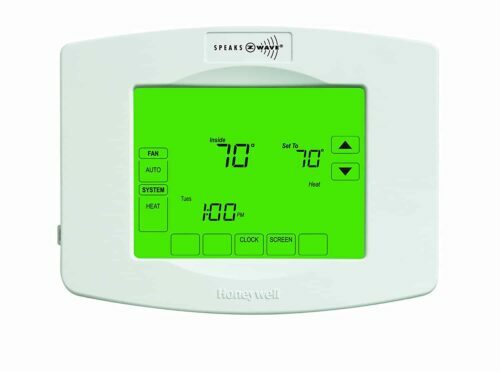 Aside from Z-Wave use, you can use the Honeywell YTH8320ZW1007 sans Z-Wave as a “dumb” thermostat. 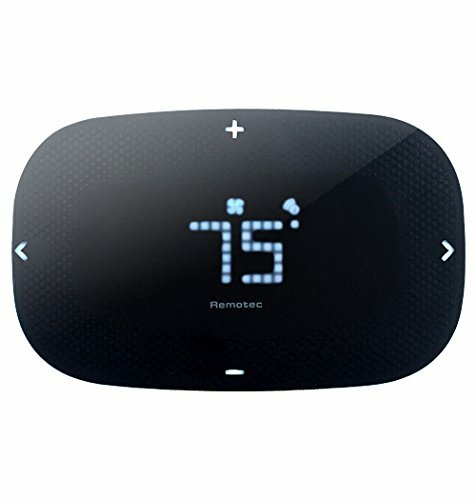 This smart thermostat comes with loads of programmable options from a seven-day scheduling feature with as many as four periods a day to fan control, auto heating and cooling, plus timed holds. Additionally, you'll receive alerts for maintenance such as filter changes. It is not Z-wave plus certified but any Z-wave plus controller should be backward compatible with Z-wave and should be able to control this thermostat. 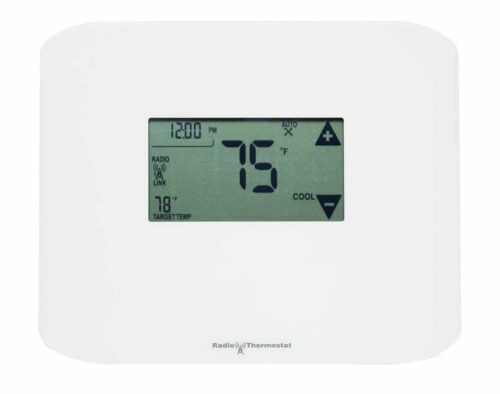 Nevertheless, the Honeywell YTH8320ZW1007/U is one of the best Z-Wave thermostat devices you can buy. As the name suggests, the StelPro KI STZW402WB+ sports support for Z-Wave Plus. Therefore, it's next gen capable smart thermostat. Additionally, the Stelpro KI STZW402WB+ can handle high-voltage apps. For those using the likes of wall convection heaters and electric baseboards, this Z-Wave Plus thermostat is your best bet. Stelpro KI STWZ402WB+'s compatibility with high voltage heating systems is a much appreciated feature. Moreover, it's packed with modes such as comfort and eco. Unfortunately, if your heater has a fan, the Stelpro KI won't work. Similarly, it can't completely turn off the heat. Still, it's a nifty Z-Wave Plus thermostat for smart home control and automation. 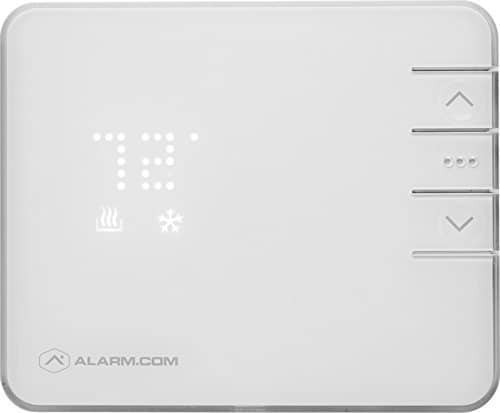 Check out the Alarm.com Z-Wave Plus thermostat for a reasonably priced, modern, minimalist option. Its dotted display differs from the LCD screens on its competitors. Since the Alarm.com smart thermostat uses a basic feature set, it's incredibly easy to set up. But power users may be left wanting. Additionally, the Alarm.com Z-Wave Plus compatible smart thermostat requires an Alarm.com account. On its own, it's not programmable. Instead, you'll need the companion app. Alarm.com Z-Wave Plus smart thermostat boasts functionality with and without a battery. Featuring auto-configuration for the most efficient battery life, this is one of the best Z-Wave thermostat options you can find. This Z-Wave Plus thermostat presents a modern design similar to Nest. With its Frequently Listening Routing Slaves (FLiRS) mode and always listening features, it's an active system. There's battery compatibility for use with no c-wire. Yet the Remotec ZTS-500 can be used with wall power as well. Reviewers noted that standard thermostat fare such as temperature sensors, are accurate. Unfortunately, on its own, the Remotec ZTS-500 is pretty barebones. You won't find any scheduling capabilities. Nevertheless, the Remotec ZTS-500 delivers two methods for power, Z-Wave Plus technology, and a lovely interface making it one of the best Z-Wave smart thermostat alternatives on the market. Ultimately, Z-Wave technology is an excellent consideration for smart home control and automation. Because it's a common smart home wireless protocol, Z-Wave maintains compatibility with the likes of SmartThings and Wink. Thus, Z-Wave integrates seamlessly into third-party systems. Since Z-Wave uses mesh networking, it avoids bogging down Wi-Fi networks. Additionally, Z-Wave Plus affords a slew of benefits including improved wireless compatibility and OTA updates. Though it's not a Z-Wave smart thermostat, the Ecobee3 is also a solid choice HVAC smart home control and automation if you can afford a bit more. It's integration with Google Assistant, Alexa, and Home Assistant, makes it easier to control and automate it in almost all situations. But for tinkerers and low-budget enthusiasts, the z-wave thermostat options listed above great choices to consider. If you have liked other Z-wave plus thermostats, please share them with us in the comments below.